Novotel Monterrey Valle is a 4* hotel located in Monterrey-Valle, Mexico. It features 238 rooms and swimming pools. Novotel Monterrey Valle features advanced technology, fine decor and contemporary details that allow you to enjoy a world-class stay. The hotel is surrounded by towering mountains and is located in a major financial area of Monterrey. Guests can enjoy easy access to local businesses and shopping centers. 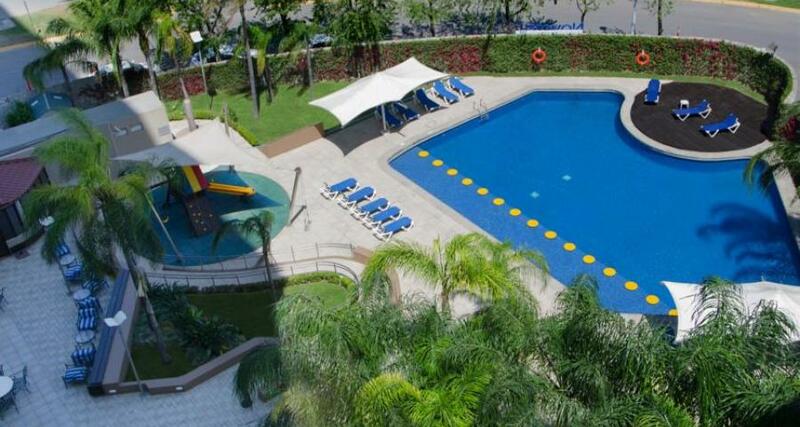 This property offers extraordinary facilities, including the largest swimming pool in Monterrey, a fitness center, eight meeting rooms, a restaurant and a bar.